Hi Keren! Welcome to Empire of Books, and thank you so much for answering some questions today. Why don’t we start with a bit about your new book, Another Life. What can you tell us about it? Hi Ryan, thank you for inviting me onto your blog! 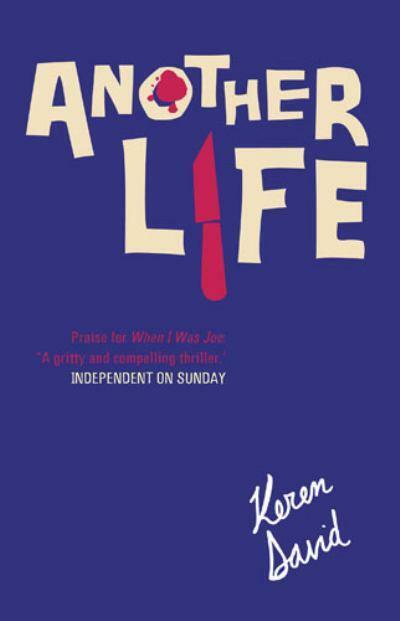 Another Life is the third in the trilogy I started with When I Was Joe in 2010. They are about a boy called Ty who witnesses a murder and has to take on a false identity to hide from the gangsters who want to kill him. I've put Ty through an awful lot in the first two books, and hopefully this one brings all the threads of the trilogy together and is the most exciting of the three. Now, most of Another Life is written from the point of view of Archie, Ty’s cousin. Was this a conscious decision, and what do you think it brings to the book having a new outlook on the story? Archie is from a richer background than Ty, so using him as narrator is a useful way of contrasting their backgrounds. I wanted to show Ty from the outside, make the reader wonder along with Archie how much they can trust of his story. And I found Archie fun to write, even though he annoys me a lot some of the time. I'd write things which would make me wince, but they were just Archie being typical Archie. Ty’s not always sharpest knife in the drawer (no pun intended, given the book…) but he’s just so likeable isn't he? What is it about him that drew you in to do a third book? Haha, some reviewers seem to think differently. I've seen him described quite a few times as 'very intelligent' which always makes me laugh. He's very thoughtful though and he usually gets there in the end. He's just a typical teenage boy really, like Archie, sometimes quite bright and sometimes so dim you want to slap them. I'm glad you think he's likeable, he has to be, really, to get away with doing some very bad and stupid things in the course of three books. I think readers feel for him and a lot of boys identify with him. They want things to work out for him. I really wrote Another Life for all the readers who wrote to me and talked to me demanding a third book about Ty. I kept on saying no, there won't be another book, and then I began thinking about how it could be done. Something that struck me when reading this book is the amount of research you must do. Legal bits and bobs. Medical jargon. Geography. How much of that research actually makes it into the book? It depends what it is. I was a journalist for years and years, a reporter and news editor, so I know a lot about crime and politics and criminal justice anyway In this book there are some chapters set in a Youth Offender Institution, and I'd been into prisons before (as a reporter!) but not YOIs so I did some specific research about that, but mostly I wrote first then check the facts later. I have a friend who is a criminal barrister who helps with all the legal stuff, my brother-in-law is a doctor and an old school friend is in the police. My favourite bit of research for this book was talking to a friend whose husband is a corporate lawyer to get the details right for Archie's dad. I hope her husband won't be offended by how Archie's dad turned out (although I have to admit I really like Archie's dad, but I don't think my readers will, they're not very tolerant of dysfunctional parents). 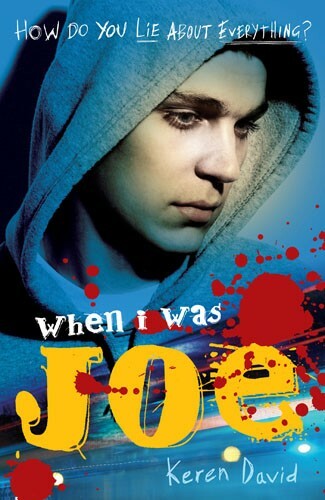 How do you feel Ty/Joe has changed from the first book, When I Was Joe, through to Almost True and now finally in Another Life? Has he changed the way you thought he would or have there been some surprises along the way? I've put the poor boy through so much! He did surprise me along the way, and not always in a good way, but I think his best qualities - his loyalty, courage, resilience and ability to love - grow and develop in trying circumstances. 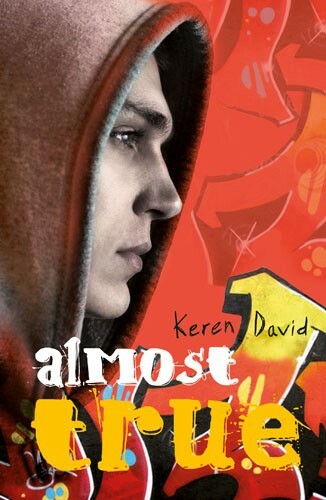 He's grown up a lot, but he's been struggling with mental illness which threatens to overwhelm him in this final book. Is this it for Ty then? It does seem pretty final. That's it for now. I can imagine Archie and maybe some other minor characters popping up at some point perhaps in a completely different story. Now, I for one am excited about your next book, Salvage. It’s due out in 2014. What can you tell us about it? I'm working on Salvage now, it's my first book for my new publishers Atom. It's about a girl called Cass who has a very stable, comfortable, middle class life, the adopted daughter of a government minister. Then her parents split up and she's contacted by Aidan, her birth brother who she hasn't seen since she was four years old. I think adoption is a fascinating subject, because there are so many facets to the experience, so many different points of view. As well as Salvage I'm also working on another book, which is a bit of a departure for me as it's historical - a historical crime/romance experiment! I still have to find a publisher for that one though, I will keep you posted. Thank you so much for your time, Keren. It’s a massive honour and I cannot thank you enough! Thank you thank you thank you! Thank you! I owe a lot to all the bloggers out there, because they really spread the word about When I Was Joe, even though a lot of them weren't at all sure about reading a BritGrit book. So thank you Ryan and all the other lovely bloggers too. Would just like to say a massive thanks to Keren for this! She's awesome and you should all go out right now and check out her books! You will not be disappointed! These look like great books and I might have to pick them up! I'm finishing up a pretty great book now called "Three Fugitives" by Nat Howler, it's part of the Six Stones Trilogy. You can check out him and the book on the website http://nathowler.com/. Thanks for the review and suggestions! Great interview - I'm a huge fan of Keren's books!